I’m sure this trip to the Middle East is not an easy one for the President and his family. But we have to keep in mind that in all these extremely difficult dealings President Trump’s priority is to put America first and to make it great again. 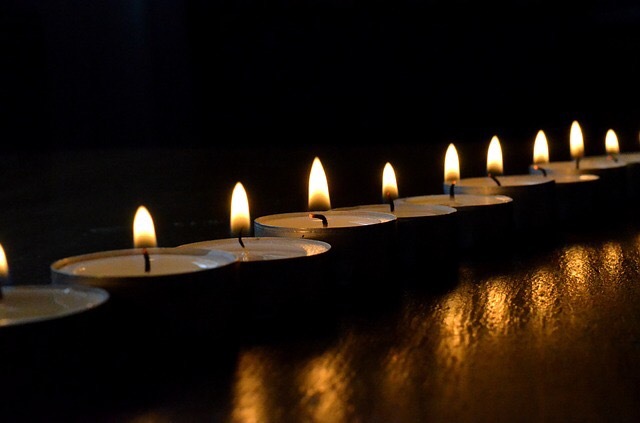 In this spirit, I send my prayers and wishes for safety and wisdom during this difficult journey through the Middle East. 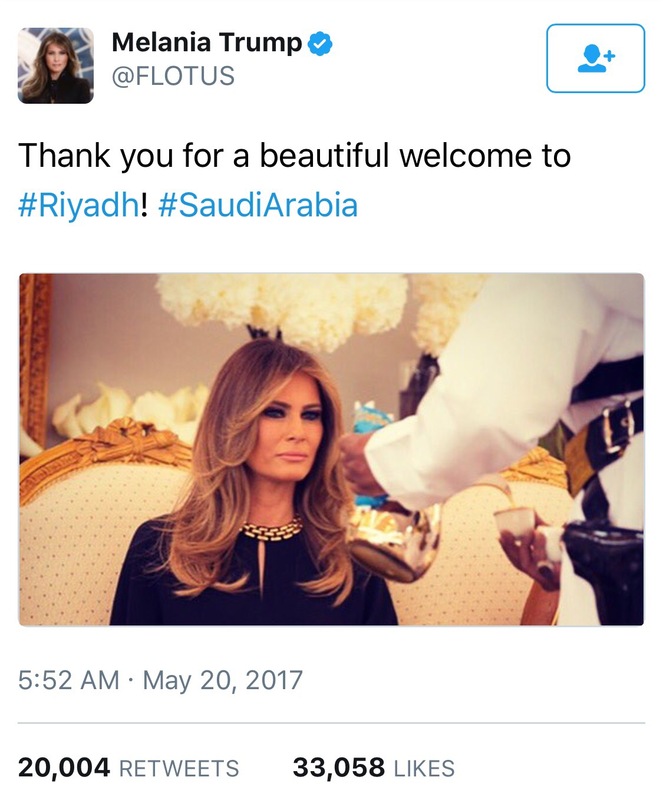 I was struck by the historic moment in our First Lady’s life, as she is being served Arabian tea by an armed male servant in the Kingdom of Saudi Arabia, where in 2008 Khamisa Mohammad Sawadi, a 75-year-old woman, was sentenced to 40 lashes and imprisonment for allowing a man to deliver bread to her directly in her home.